Minecraft is a building game in which the user is called within its virtual world to place and customize bricks (or as they are called in this game, Blocks) and materials to build constructions that can be functional or not. The user also has to choose from a series of playable scenarios that are distinguished in creative, adventure and survival modes and can also chose to play alone or with others in the multiplayer mode (Nebel, Schneider & Rey, 2015). The particularly useful scenario of creativity is one that provides the greatest potential for educational use as players have unlimited materials to develop the constructions they desire, without being limited by drawbacks such as slow movement from one place to another or the risk their virtual character experiences death, like it happens in the survival mode (Overby & Jones, 2015). 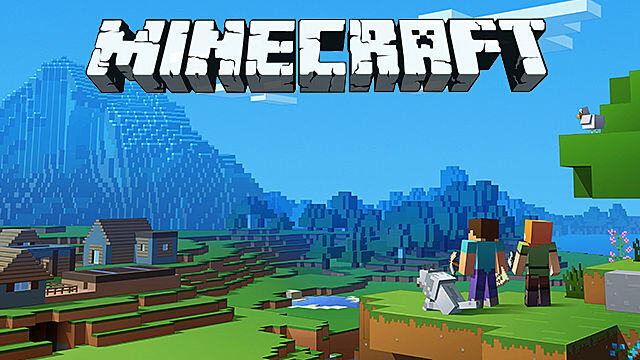 The nature of the game that involves the player in problems with various objects that interact with his decisions, the plethora of choices the user allows, the freedom of movement and choices from the creation of the character to the development of the constructions, puts him in the place of the creator and not just the consumer, resulting in Minecraft being a tool that contains many of the elements of constructivism theories (Overby & Jones, 2015; Nebel, Schneider & Rey, 2015), redefining it as a highly lucrative and benefitial application to any class (Petrov, 2014). The game is extremely easy to install and can even work on computer systems or mobile devices with low limited infrastructure, although the multiplayer mode obviously requires internet access (Overby & Jones, 2015; Nebel, Schneider & Rey , 2015). The offered actions that can be implemented in the world are varied and can be used to enhance various teaching subjects such as arts, environmental sensitivity, architecture, mechanics, physics, mathematics and history. (Petrov , 2014; Overby & Jones, 2015). The benefits associated with the use of Minecraft for educational purposes are a lot. The most important are that Minecraft is linked with the development of students' critical thinking, enhancing creativity, and fostering digital literacy in an environment with increased motivation (Petrov, 2014 (Nebel, Schneider & Rey, 2015). If used in an online environment that allows multi-player involvement, it increases student collaboration and teamwork since it operates as a tool of social constructivism (Nebel, Schneider & Rey, 2015). In conclusion, it is worth mentioning that there is also an educational version of Minecraft available, MinecraftEDU, which provides the appropriate tools for teachers to evaluate student-player moves, easier game management, and a range of other objects to smoothly adapt to the learning process (Nebel, Schneider & Rey, 2015). Nebel, S., Schneider, S., & Rey, G. D. (2016). Mining Learning and Crafting Scientific Experiments: A Literature Review on the Use of Minecraft in Education and Research. Educational Technology & Society, 19 (2): 355-366. Overby, A. & Jones, B. L. (2015). Virtual LEGOs: Incorporating Minecraft Into the Art Education Curriculum. Art Education, 68 (1), 21-27. Petrov, A. (2014). Using Minecraft in Education: A Qualitative Study on the Benefits and Challenges of Game-Based Education (Unpublished Doctoral Dissertation). University of Toronto, Canada.